Successfully Added Electronic Digital Caliper - Stainless Steel Construction to your Shopping Cart. Digital electronic caliper with strong stainless steel construction. Including a screen is one of the best thing that ever happened to calipers. Save your eyesight while at the same time accurately measuring outside and inside dimensions, depth, step, and even differential measuring. 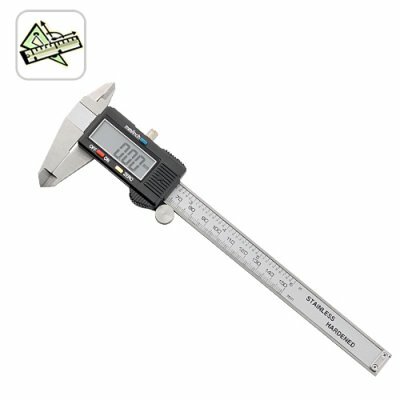 At a price that everyone from hobbyists to engineers can enjoy, these are premium, highly accurate calipers that will once and for all prove to anyone with a need to know how wide, long, or deep anything you need measuring truly is. This is a great addition to any tool set, easy to store with the included hard plastic protection case, stocked in our warehouse for immediate order fulfillment and worldwide shipping to any destination whether it's you or your customer. I was looking something like this. Very precision and useful tool. Delivered in 3 days to Ireland. Well done.